While the scholarly base for the field of education in emergencies is expanding quickly, the evidence base for the quality and effectiveness of accelerated education is markedly thin (AEWG, 2017b). Although there are a number of evaluations conducted by organizations on the effectiveness of accelerated education programs, there is a dearth of empirically rigorous literature that discuss the lasting impact of accelerated education programs on crisis-affected children (Burde, 2015). 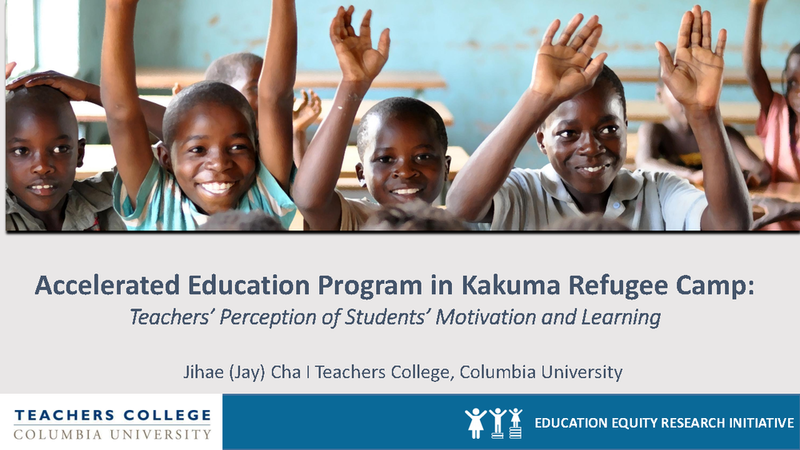 Therefore, this paper examines the accelerated education program in Kakuma refugee camp, Kenya, and explores the extent to which the program meets the educational access, quality of learning, and socio-emotional well-being of overage refugee learners. Speed School is an accelerated education program that Geneva Global (GCI) has been implementing for seven years across sub-Saharan Africa. GGI has successfully implemented the program in Niger, Mali, Burkina Faso in the past and is currently operating in Ethiopia, Uganda and Liberia. The presentation will address southern theories and methodologies and south-south collaboration, theories and practice. 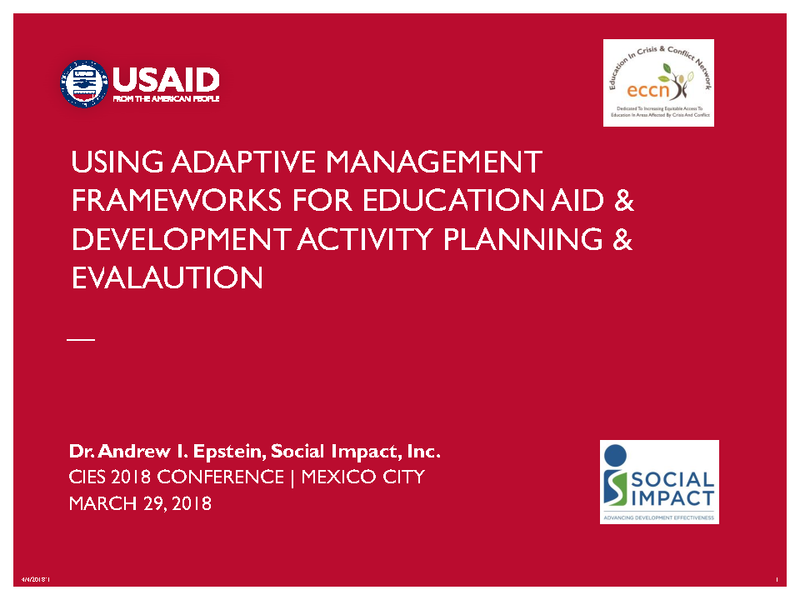 It will also examine the research and analysis conducted in regard to the model and how this can inform the broader discussion on global education and accelerated education in particular. This presentation reviews Save the Children's work studying adversity in post-earthquake Nepal with a focus on the relationship adversity has with early childhood development, the challenges of measuring inherently abstract concepts, and the value an adversity index could have to ensuring programming is reaching the most deprived children. The presentation shares the results of a preliminary analysis about the effect of an SEL treatment on students outcomes, which suggests that the most disadvantaged students –girls, students from low SES backgrounds and refugees- are benefiting more from the SEL intervention than their counterparts.